I am not completely computer illiterate, but this one is beyond my realm of expertise. Edited by BossBish, 03 June 2009 - 08:54 AM. 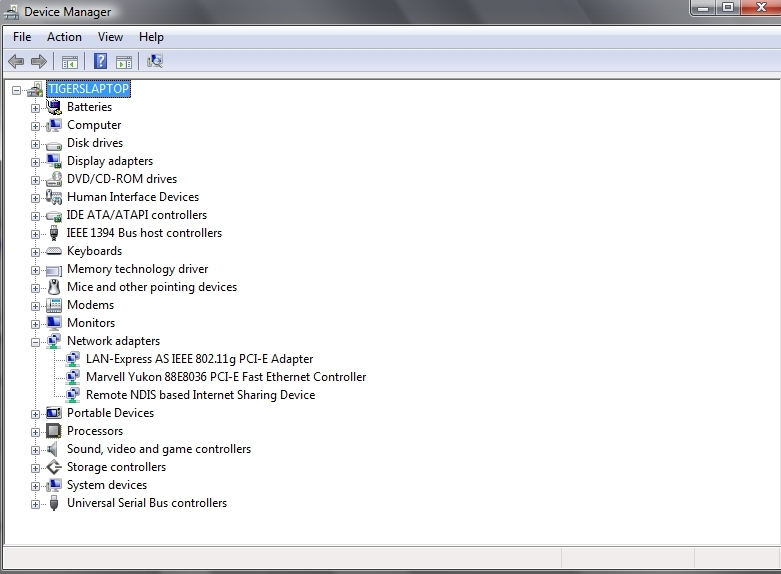 Do you see a wireless adapter there? Does it have a red X? If you don't see it there do you have a Unknown or Other Devices group (Would have items with a yellow exclamation point in front of them)? What's in there if anything? Edited by Untalented, 02 June 2009 - 11:15 PM. No, there isn't anything showing as a exclamation point or anything, eerything is showing up as normal and working.I included a screenshot. Do you have any other machines connecting to this wireless network that are working? 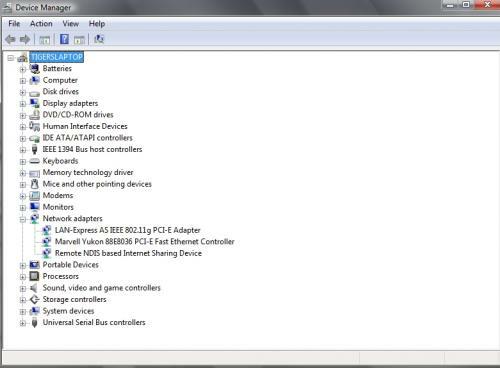 Can you connect to any other wireless network on this laptop? The device appears to be enabled and functioning, lets see if we can conclude if the problem is on your computer or on their access point.